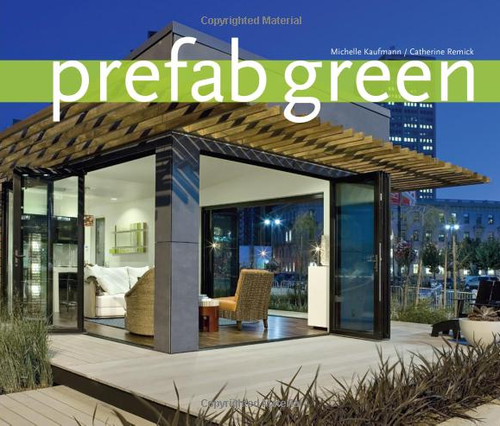 Jetson Green - Taliesin Mod.Fab Prefab Now Complete! Taliesin Frank Lloyd Wright School of Architecture graduate and undergraduate students have been blogging on PrairieMod about their project to build a small modern home on the grounds of Taliesin West. Now, the Mod.Fab is complete, and it’s a compelling demonstration of passive and active environmental control systems, water catchment, top-tier insulation, a gray water system, native landscaping, and a solar power system. 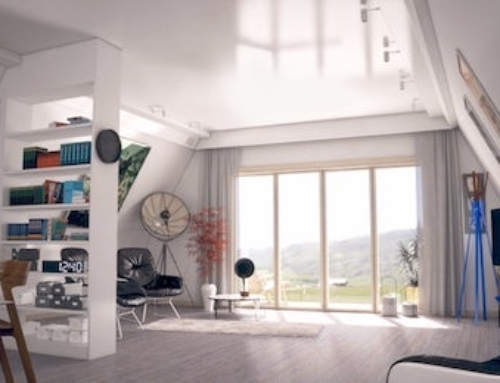 The students, with help of Jennifer Siegal of OMD and others, designed a simple but elegant home with sustainability in mind. 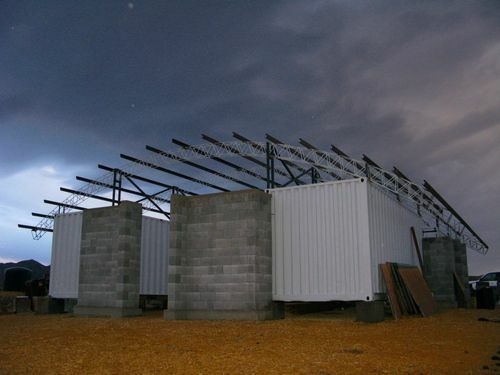 At first, they were going to prefabricate the structure, but later decided to go instead with on-site, panelized construction using SIPs for the walls, roof, and floor. Mod.Fab, as you can tell from the sponsor list, has all sorts of amenities, including Cree LED lighting, Caesarstone counters, and IKEA cabinets, etc. 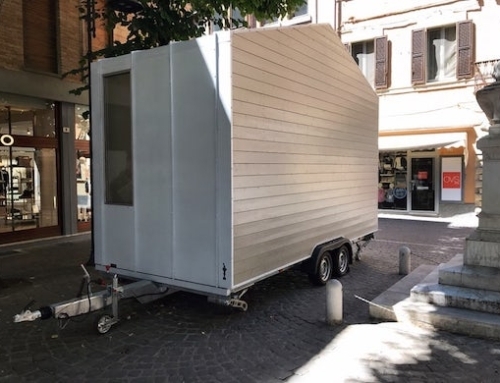 The 600 square foot, one-bedroom prototype was designed and engineered to be transportable by roadway, so maybe someone down the road will get the opportunity to purchase it. We’ll keep you posted. Photo credits and Copyright: Bill Timmerman 2009. Looks great. 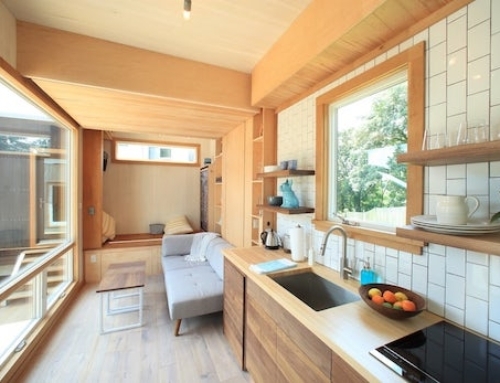 It’s nice to see a compact “hybrid-prefab” model chosen by intelligent people after weighing the possibility of full prefab. What is: “SIPs for the walls, roof, and floor.”? Gee I wish you sometimes have a glosary. Sorry Fernando, we talk about SIPs, ICFs, LEED, NAHB, and every other acronym so much, we assume the readership is familiar with these terms. A glossary would be a good idea, I’ll get on that. SIPs, a sandwich of OSB (oriented strand board) or plywood with polystyrene insulation between (generally 4 to 12 inches). The panels usually 4′ wide by 8′ to 16′ tall have any openings like windows or doors precut and electrical runs removed from the insulation. This makes for a tight, strong, well insulated structure that can be built very quickly. SIPs are structurally insulated panels… basically the walls of the home are fabricated off site, then put together really fast on site… better insulating value, higher quality construction… pretty cool system. Are we ever going to see large scale rollouts of prefabs being built in something other than an academic / demonstrational environment? I think we get what they can do and what can be done at this poiunt…now let’s find someone to do it in the marketplace; affordably. I have 20 acres near Snowflake AZ and would like to eventually build a modest, passive (possibly aggressive, if I can rustle up the dough) structure for part-time use (I live in NYC). There’s no well, though my best friend has one & lives full time on an adjoining parcel & has offered to share her well with me I am coming into a small piece of money this year and would like to take the first step towards this project. Where do I start? To whom should I address he above question? I ran across this article in “impressions” from kitchen and bath design and love this modular design. I noticed you have land in Arizona, have you ever heard of builditsolar.com If not you should check the site out if you are serious about alternate energy related issuses. 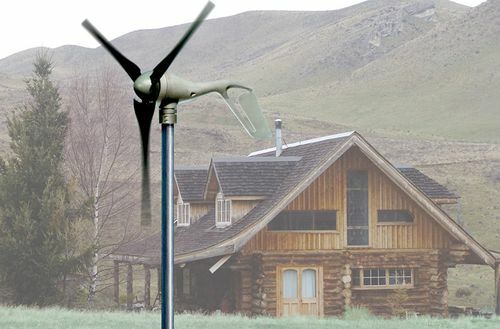 It’s a DIY alternate energy website at it’s best. Its great to see all the love that people have for this design. There is more info on the products if you google Mod Fab home (or go to the Taliesin website and can email them to ask). Design was just featured in Time Magazine May 2009 as well. I know that taking the design out of an academic environment is on the way, I am the proud sister of the project manager Christian Butler! 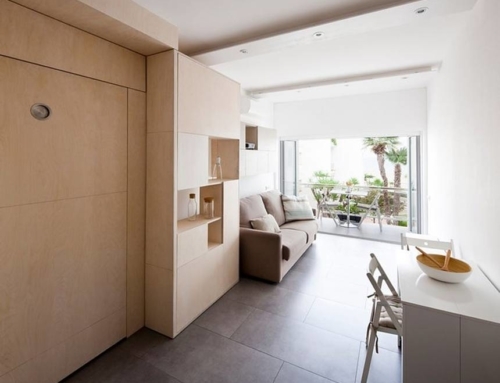 This is a very cool prefab! 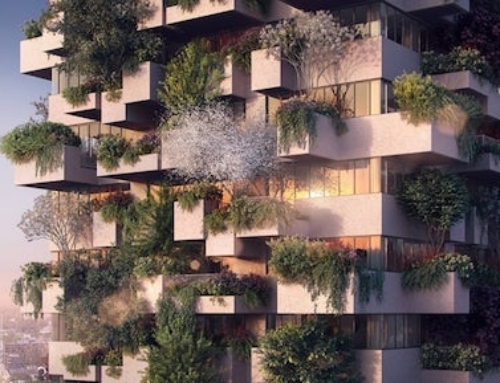 I am purchasing 5 acres in rural Costa Rica and would love to build something similiar to this. What is the cost? Are there plans available? Thanks.